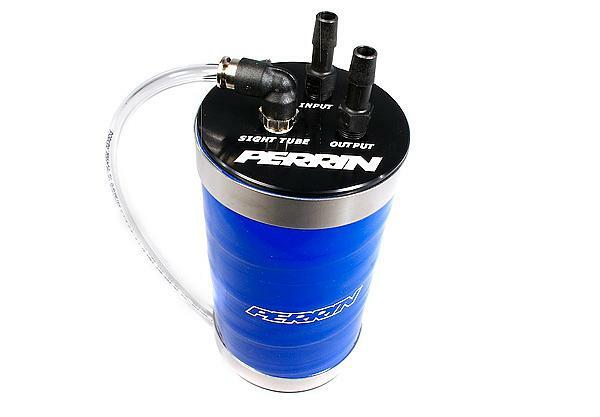 Perrin Oil Catch Can UNIVERSAL - Dezod Motorsports Inc - Home of the automotive performance enthusiast since 2002. 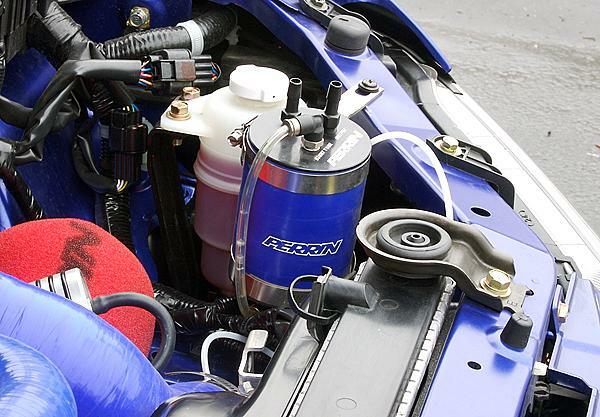 Blow-by is a constant problem with any turbocharged engine. While a normal byproduct of the combustion process if it isn’t contained outside the engine it will collect and gum up the valve train, turbo and most importantly the intercooler and plumbing. 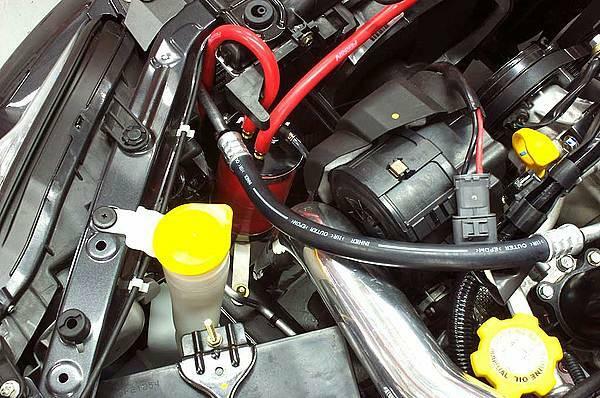 When this occurs it reduces the thermal efficiency of the intercooler, thus losing power and performance. With PERRIN’s cleverly designed and easy to install silicone catch can you can control this problem. 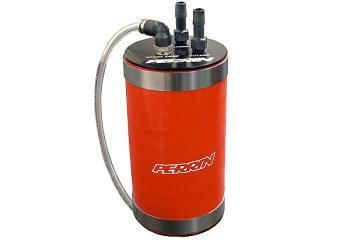 Available in red, blue or black to compliment any engine bay. Universally designed to work with all turbocharged applications.